Jared James Nichols dropped by the Epiphone showroom in Los Angeles last week. While he was there he couldn't resist picking up up a Steinberger Synapse and ripping off a few JJN licks. We grabbed the bootleg video on an iPhone! Don't tell him. Jared James Nichols plays a Steinberger Synapse guitar. 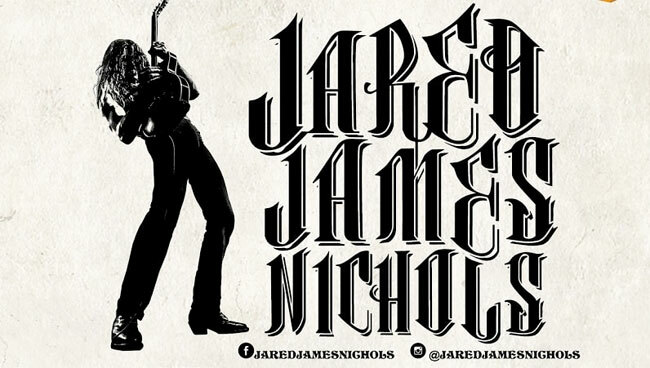 Over the past decade, Jared James Nichols has earned many prestigious awards like the Gibson Les Paul Tribute Contest and the Musician's Institute Most Outstanding Player Award. But he's also been making friends and admirers among the world's top artists like Lynyrd Skynyrd, Zakk Wylde, and ZZ Top, who are all attracted to Nichols' deft fretwork (without a pick!) and deep love of the blues. Nichols' explosive trio has been touring the world non-stop, gaining fans everywhere, and making a strong case that what planet Earth needs now is more Rock 'n' Roll. © STEINBERGER. All Rights Reserved. STEINBERGER is a part of Gibson Brands.